Feed premix is mixed with two or more substance and during the early stage of manufacturing process of animal feed compound. Use of feed premix helps in improving digestion, appetite, and feed intake of animals. It also enhances immune system by developing antibody titres and increases the antibiotic growth in the animal’s body. These factors fuel growth in the global feed premix market. This report covers all the major factors contributing in the growth of the global feed premix market. Analysts of the report have carried out both primary and secondary research to get the complete knowledge about the market. The information is presented in descriptive and in figurative form. The information is derived from different sources including interviews, seminars, podcasts, various national and international programmes working on mycoplasma testing, and other similar sources. The report is segmented into different sections including categories, vendor landscape, market potential, and geography. Growing demand for better quality of meat the major growth factor attributed to rising demand in the global feed premix market. 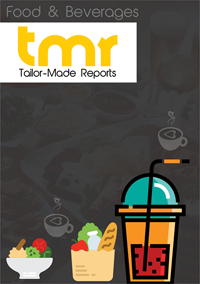 Globally, more and more people are preferring meat and meat bases products that have further augmented the demand in this market. Moreover, increasing awareness among the people related to benefits of feed ingredients is also likely to drive the demand in this market. On the other hand, high price of raw material is considered as a key restraining factor obstructing the growth in the global feed premix market. However, shift from red meat to white meat is another factor and growing use of advanced technologies in feed premix manufacturing is likely ot drive demand in this market. With respect to geography, North America, Asia Pacific, Latin America, the Middle East and Africa, and Europe are the key regions covered in the report. Of these regions, Asia Pacific expected to lead the market and hold significant share in the market. Developing economies such as China, India, and Brazil are expected to crate huge demand in the global feed premix market during the forecast period. Moreover, growing demand for meat production is the key factor for the growth of feed premix in South American countries. North America and Europe are considered as mature markets and thus they are expected to rise at decent rate in the coming years. Rising meat consumption and on-farm mixing are the key factors driving the demand in the global feed premix market in these developed regions. Players operating in the feed premix market are of prime importance, as the leading players among them are collaborating with several platform manufacturers. The objective of collaborating is to get a stronger hold in the market and compete efficiently with its competitors. Moreover, these players are also focusing on innovation, launching new products, and engaged in research and development activities. The competition among the key players in the market is likely to increase in the coming years with an aim to get a stronger hold in the market. The report focuses on few players including Nippai, Land O' Lakes Feed, DBN Group, DLG Group, ForFarmers B.V, DSM NV (Netherlands), De Heus, Biomin, InVivo NSA, Lallemand Animal Nutrition, Nutreco NV, BEC Feed Solutions, Cargill Inc., and Archer Daniels Midland that are functional in the global feed premix market.